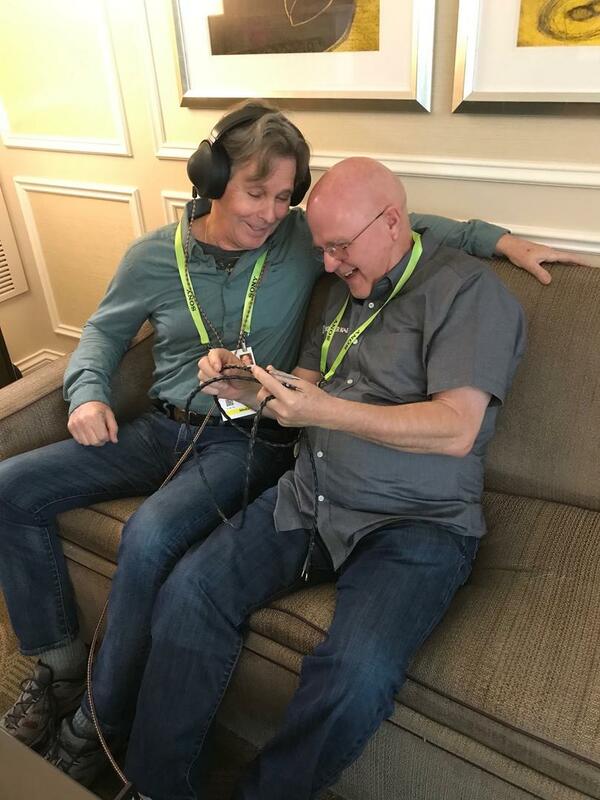 It’s no secret that the high-end audio segment of the massive Consumer Electronics Show has been waning for years as the industry has shifted its focus to Munich and the growing juggernaut of AXPONA. But this year’s CES was the death knell. After attending 36 consecutive CES events, this was my last. Nonetheless, it was worth going this year to see and hear some intriguing product introductions. Here are the highlights. In a radical rethinking of the traditional audio-component chassis and user interface, NAD introduced the M10 streaming amplifier. The M10 is BluOS-enabled, meaning it can integrate with other NAD BluOS products as part of a whole-house wireless audio system (BluOS “ecosystem” in NAD parlance). The rectangular chassis’ front panel has no knobs or buttons, but instead features a colorful display the size of the entire front panel…and when you approach it, the display automatically changes from showing “now playing” cover art to control functions. Very cool. The display allows you to operate the system, search for music to play, and manage playlists. You can also control the M10 via the custom app, through Amazon Alexa or Apple’s Siri, or within a smart-home system such as Crestron or Control4. Output power from the Hypex Class D module is 100Wpc into 8 ohms, with 300W of dynamic power into 4 ohms on tap. The M10 also includes full MQA decoding, Dirac Live room correction, and an ESS Sabre DAC. The M10 will sell for $2499 when it begins shipping in March. Cambridge Audio, who recently made quite a statement with its Edge series of electronics (review pending), introduced at the show the first turntable with aptX high-resolution Bluetooth wireless connectivity. The Alva turntable plays a record and wirelessly sends the signal to Bluetooth-enabled wireless headphones or amplifier at 48kHz/24-bit resolution. The new Alva features a 6mm aluminum top plate and polyoxymethylene platter and a high-output moving-coil cartridge. It was an interesting sensation to listen to a record played on a turntable that wasn’t connected to anything, and through headphones that were similarly untethered. For many younger listeners, that scenario probably seems utterly natural. I was surprised by how good the Alva sounded, and any product that brings vinyl to music listeners’ lives is a good thing. The Alva will sell for $1699 (with cartridge) when it ships in April. Some readers will know that Esoteric and Teac are part of the same company. At Las Vegas the company announced that Esoteric’s U.S.-distribution arm will now represent the Teac Reference line products. The Teac Reference components on display were housed in 11”-wide chassis and seemed to offer very high value. The forthcoming AP-505 is a stereo power amplifier built around a Hypex Ncore Class D module delivering 70Wpc into 8 ohms. Available in an upscale black or silver aluminum case, the AP-505 will sell for $1599 when it ships later this year. The AP-505, with its superb machined-aluminum casework, large feet, and big illuminated meters looked like a miniature version of a dreadnought power amplifier. Also new at the show was an integrated-amp version of the AP-505, called the AX-505, which will also sell for $1599. The AP-505 will join five other components in the Reference series including a network player, DAC, integrated amplifier, disc player, and headphone amplifier/DAC. 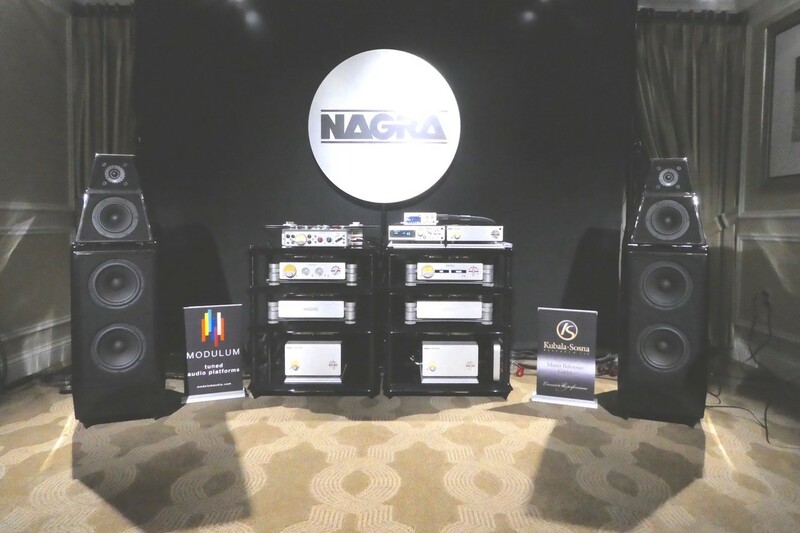 Nagra’s room delivered not only the show’s best sound, but also one of the best-sounding demonstrations I’ve heard at any show in recent memory. The company was showcasing its new HD DAC X, an extremely sophisticated design that was inspired in part by the performance and technology of the company’s recently introduced HD Preamp. The two-chassis design features a massive and super-quiet power supply with 37 separate regulation stages. The supply is based on an array of super-capacitors that reportedly are as quiet as a battery supply. The entirely new digital section is built around custom Nagra technologies rather than off-the-shelf chips, including the DACs themselves. The HD DAC X is compatible with all PCM formats as well as DSD up to DSD256. The dual-mono signal path includes vacuum-tube gain and inter-stage transformers that are hand-wound in Nagra’s factory. Price: $64,500. In addition to the HD DAC X, the demo system included the company’s HD Preamp, Classic Amp, CDP, VII digital recorder, a refurbished Nagra IV-S analog tape machine, Modulum racks, and cables by Kubala Sosna. Speakers were the new Wilson Sasha DAW ($37,900). Sources included spectacular original analog and digital recordings by Nagra’s René Laflamme. His recordings rank among the most lifelike I’ve heard. The sound of the Nagra system was incredibly liquid and natural, with stunning presentation of inner timbral detail and spatial cues. It was worth going to Las Vegas just to hear this system. Ray Kimber showed a prototype of the Kimber Carbon, a new cable design that effectively “removes” the cable’s capacitance as registered by the amplifier. This approach involves encasing the copper conductors in a semi-conductive carbon polymer that has just enough resistance to prevent the dielectric from storing a charge, thereby rendering the cable’s capacitance moot. The price for an 8’ pair of Kimber Carbon speaker cables will be $3000 when they ship this summer. An interconnect will also be offered, but pricing had not yet been established. Technics had a big show with plenty of new product introductions. 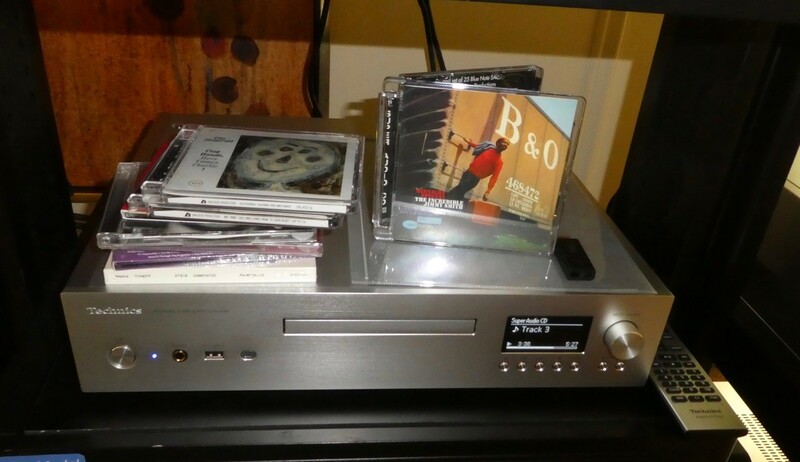 The first is the SL-G700, a CD/SACD player with network streaming. Although this new player packs quite a combination of functions within a single product, practically speaking it makes a lot of sense. Many listeners have CD and SACD libraries, but also want the flexibility of streaming. 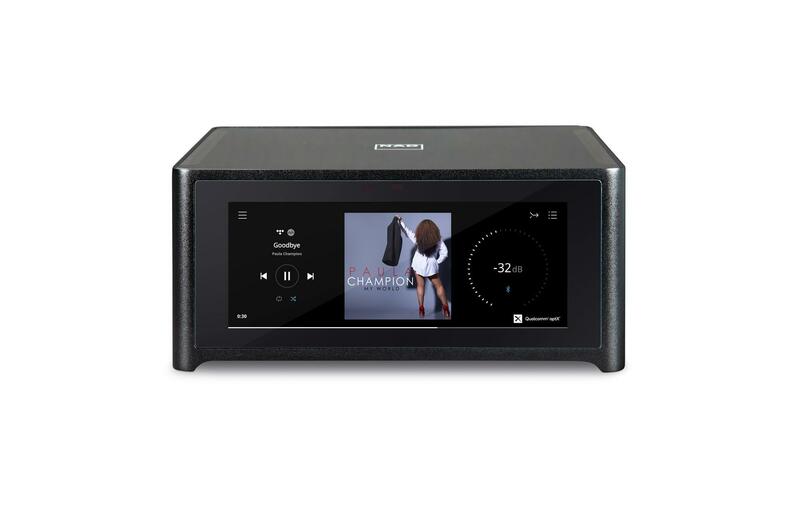 The $3499 SL-G700 supports all the usual wireless connectivity options and includes Spotify, Tidal, and Internet Radio. Audio quality appears to be a high priority given the design features included—full MQA decoding, native DSD playback (DSD isn’t converted to PCM), and an up-conversion feature for low- and standard-resolution data to 192kHz/24-bit. The SL-G700 is built around the latest top-of-the-line AKM4497 DAC, powered by five individual supplies. The supply dedicated to the DAC’s clock is battery-powered. The output amplifier is a discrete circuit rather than an op-amp, and even the power-supply regulators for the analog-output stage are discrete. Commendably, the entire design is a dual-mono including the chassis construction. 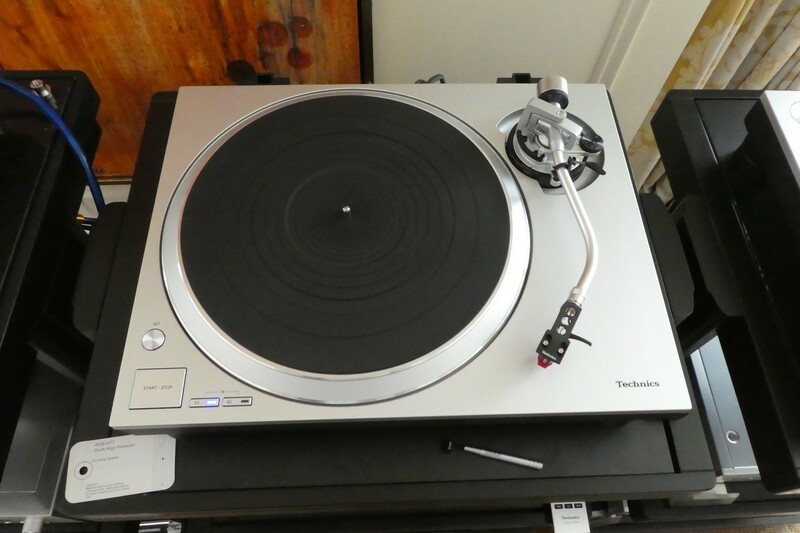 Technics also introduced two new turntables, one of which was a DJ-optimized version look-alike of the company’s recently reborn SL-1200, the SL-1200G. Of more interest to audiophiles is the SL-1500C, pictured above, that brings some of the SL-1200’s technology to a lower price and adds more convenience features. The new SL-1500C has a coreless direct-drive motor, a built-in phonostage (that can be bypassed), and an Ortofon 2M Red phono cartridge installed at the factory. An automatic tonearm lifter returns the ’arm at the end of the record. Clearly, the $1399 SL-1500C is aimed at a broader market than the upper-end turntables the company has introduced to date. Delivery is scheduled for the summer. The French company Devialet showed a smaller version of its Phantom compact wireless audio system, called the Phantom Reactor. About the size and shape of a small cantaloupe, the Reactor is a complete system; just plug it in and stream to it from your computer or mobile device. Two models are offered, the Reactor 600 (600W of power, $995) and the Reactor 900 (900W of power, $1195). Two Reactors can be combined for left/right reproduction. The original Phantom ($2990) packed 4500W of power, had bass extension to 14Hz, and would produce an SPL of 114dB. The new Reactor is for those who don’t need this much output level and bass extension. As with the original Phantom, the Reactor defies belief; it sounds like a full-range speaker system in its bass extension and ability to play loudly. Devialet is leveraging and expanding upon its considerable expertise by becoming a technology partner to other companies, including Sky, Europe’s largest television provider. Sky customers can lease-to-buy (10 euros a month) a Devialet-branded set-top box that includes a Devialet-designed playback system right in the set-top box. The demo that Neil and I heard was most impressive; it’s a simple and inexpensive way to enormously improve the sound of a TV. A cable box with the Devialet name prominently displayed that delivers outstanding sound quality is quite a coup for a high-end audio company, and one that will undoubtedly drive sales of Devialet’s higher-end components. 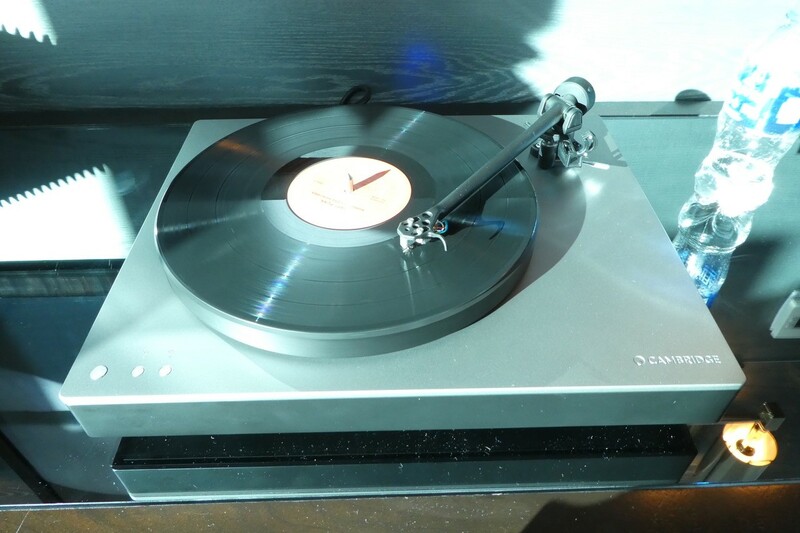 Mark Döhmann of Döhmann Audio was on hand to show his new Helix One-V turntable. Although the One-V was built around the original Helix’s radically different design principles, it also incorporates further innovations, such as a new base to increase isolation. Both the original Helix and new Helix One-V are built on isolation bases made by Minus K, a manufacturer of vibration-isolation platforms for scientific instruments such as scanning electron microscopes. The new One-V design employs additional high-frequency vibration filtering to complement the low-frequency filtering of the Minus K. The new motor is driven at a very high frequency (100kHz) in a unique drive arrangement. In addition, a vacuum hold-down system promises to take the turntable’s performance to the next level. Owners of the original Helix will be able to upgrade by adding the vacuum hold-down. The Helix One-V is expected to be launched in May at the Munich show with a U.S. retail price of $65,000. Finally, in what would have easily been the show’s best sound if not for the Nagra room, was VTL’s setup that, perhaps not coincidentally, also featured the new Wilson Audio Sasha DAW loudspeakers. This all-tube system was built around VTL’s established TL-7.5 Series II linestage and S-400 Series II stereo amplifier, along with the new introduction at the show, the TP-6.5 Series II Signature phonostage (price TBD). The TP-6.5 Series II Signature phonostage is a significant upgrade of the previous model, particularly in the power supply that adapts the shunt regulation of the TL-7.5 linestage. The mc phono section is supplied from cascaded discrete regulation. 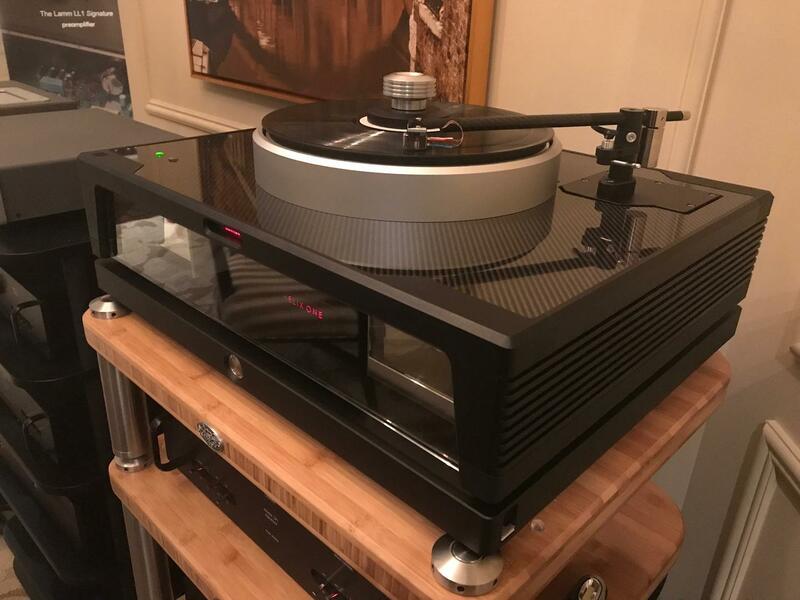 Wired with Nordost cables, power distribution, and QKore grounding system and fronted by a Kuzma Stabi R turntable and 4Point tonearm with a Lyra Etna cartridge, the sound was immensely communicative and involving. There was no hint of electronic artifacts, grain, or glare. The system conveyed Krystian Zimerman’s performance of Schubert’s final piano sonata with such full expression that Neil Gader and I sat mesmerized for the entire LP side. Hands down, the Nagra room. This would have been the best sound at any show. This room and the VTL demonstration were in a class by themselves. Interestingly, both featured the new Wilson Audio Sasha DAW loudspeaker. The new PSB Alpha P5 bookshelf speaker ($349) and the Alpha T20 floorstander ($599) could be game-changers at their respective price points. Nagra HD DAC X. The design is a technical tour de force, and judging from the demonstration, a contender for the state of the art in digital conversion. New product categories that combine functions such as disc playback with network streaming, as seen in the Arcam CDS50 and Technics SL-G700, for examples.